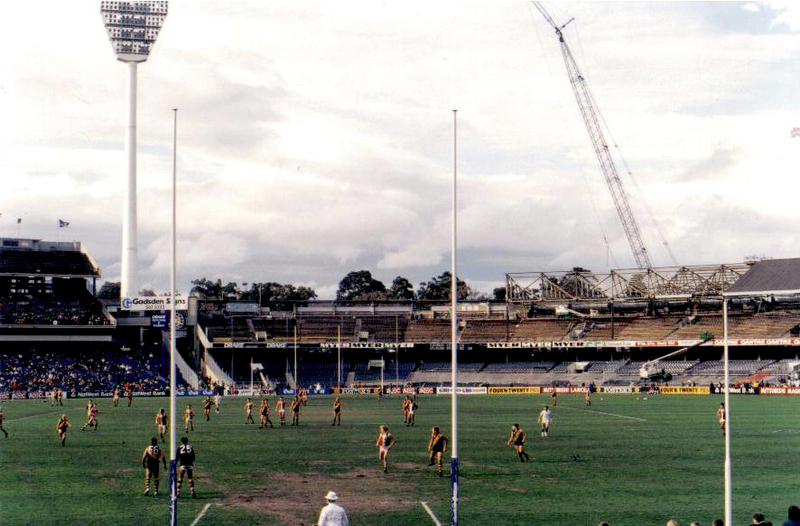 This was snapped nearing the end of a Richmond v St.Kilda reserves match mid-1990 at the MCG. Note the Richmond cheer squad seats at the front row of the 2nd tier behind the goals – painted yellow and black. This entry was posted in Boots Happy Snaps by theholyboot. Bookmark the permalink.